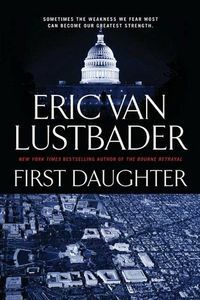 First Daughter by Eric Van Lustbader, a Mysterious Review. Just weeks before the inauguration of Edward Carson, the newly elected moderate Republican President, the current President seeks to make sure his beliefs become laws of the land. For eight years he has tried to return the United States back to its roots as a Christian nation. He envisions the country's future as a "fortress America", one able to withstand all foreign terrorists. Working against him is a group that calls itself E-Two, the Second Enlightenment, in reference to the Age of Enlightenment that spread through Europe in the eighteenth century. When President-elect Carson's daughter, Alli, is kidnapped, for current President is secretly delighted as it gives him an opportunity to devote considerable resources to not only locating the girl and, as a cover, to bring down E-Two at the same time. Carson, however, wants his old friend, Jack McClure, a top Washington AFT agent, to lead a search for Alli, much to the dismay of the Secret Service (and the current President). When McClure's command is quickly undermined, he continues on his own to search for Alli and return her to her family. Special thanks to guest reviewer Betty of The Betz Review for contributing her review of First Daughter. Acknowledgment: Planned Television Arts provided a copy of First Daughter for this review.